If you’re one of of those people who wants to feel like a pretty, pretty princess when you sleep, this gallery is for you! (…and if you’re an adult with, perhaps, a younger daughter–bear with me; you still might enjoy some of the ridiculous craftsmanship displayed here). 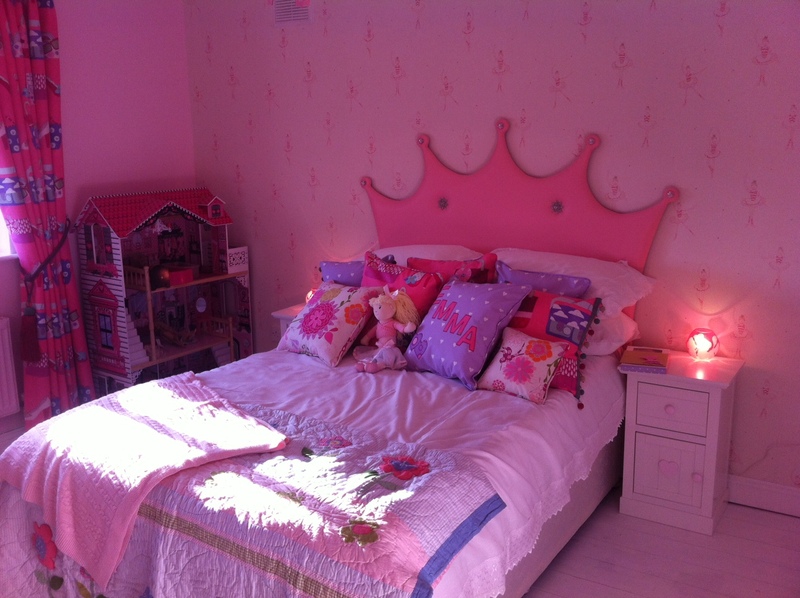 So check it out: 27 different bed ideas for your little princess! This bed features six spires, two staircases, and a sitting place atop the bed itself. For a regal room, this bed has all that a princess needs when going to sleep. Every princess needs their carriage! Taking a spin on the classic Cinderella carriage, this bed features sheer sides and a top that is perfect to take any princess to her ball. 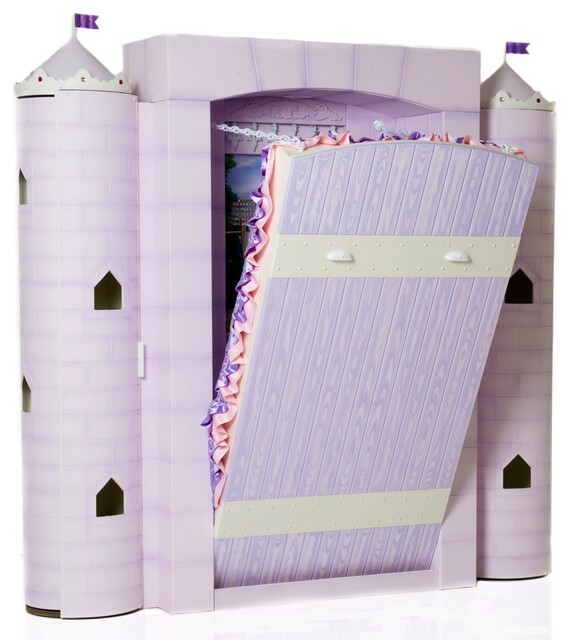 For any princess who simply cannot have a large bed because of space constraints, this bed features a simple castle head board and a little door on the foot board. A bed perfect for the princess of the home. For any princess, a castle is a must. 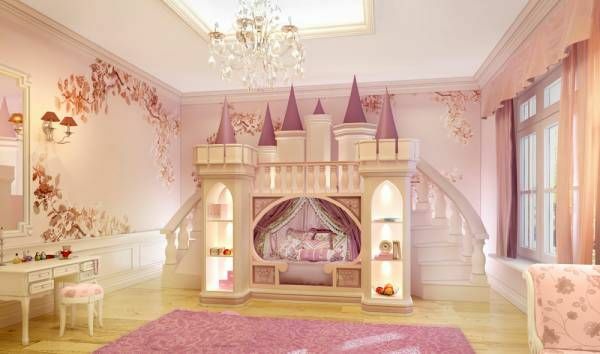 This bed offers a bed, and a place to play princess any time of the day. Sturdy and ready, it’s amazing. For the princess who needs space, this bed does the trick. It has a space to store toys underneath, and a tower to slide out of. No princess will feel trapped in the tower with this bed. This castle has a loft bed that offers plenty of space to store things in the towers. 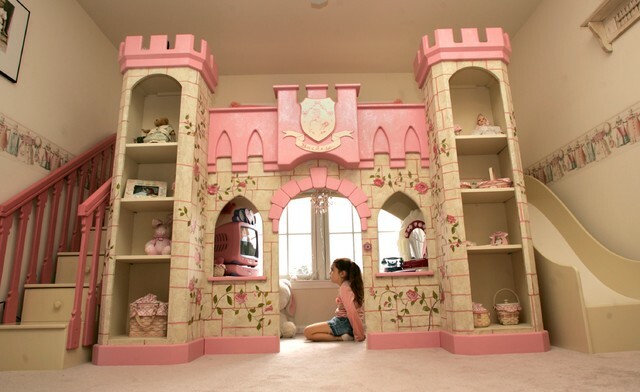 For older girls, the door might be too small, but the space is needed to store their important things – cosmetics, stuffed animals, whatever it is. 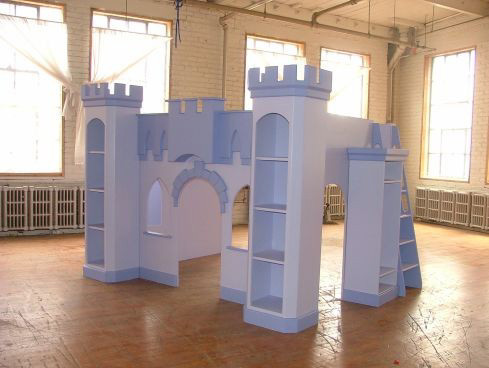 This loft bed is a full fledged castle! With spires and towers and doors, oh my. Any princess will feel lucky – and may even feel like a queen. 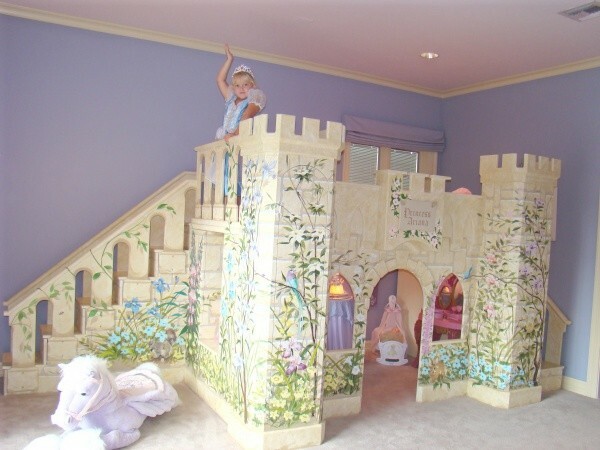 All towers have shelves, and the princess can walk through her palace. For the princess with a small room, this Japanese style folding bed features a bed that comes out like a drawbridge. The towers can open up to reveal storage space. 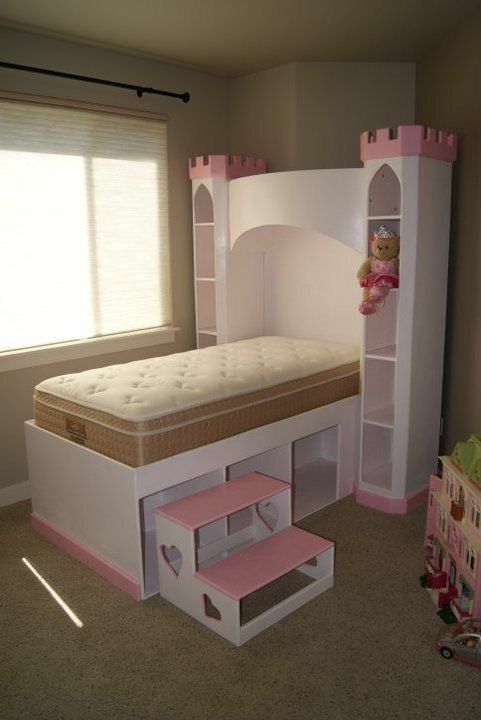 This is perfect for any princess (or queen) worried about having enough space for a fun bed. This palace fits two princesses! One in the lower bunk and one in the upper bunk, the princesses in this palace will feel extra lucky with a spiral staircase and a tower with shelves. Plenty of space is needed, so it should not be used in small rooms. This bed is too regal to pass up. Unlike the others, this is more like what would be featured in a palace room itself, not the palace. The sleigh bed itself can instantly make anyone feel like a princess. Selling for over $300, this wooden carriage is expensive. However, sturdy and ready to roll, it will make any little princess feel like their ready for the ball. Carriages are an essential part of the royal lifestyle for those in the fairy tales. This bed is a small castle, but has the towers to make anyone feel like the lucky one. Raised off the floor, there’s plenty of storage as well. No princess needs to worry about having enough space – they’re a princess! Many princesses have a canopy bed. Putting up the canopy over any bed turns it into a princess bed. 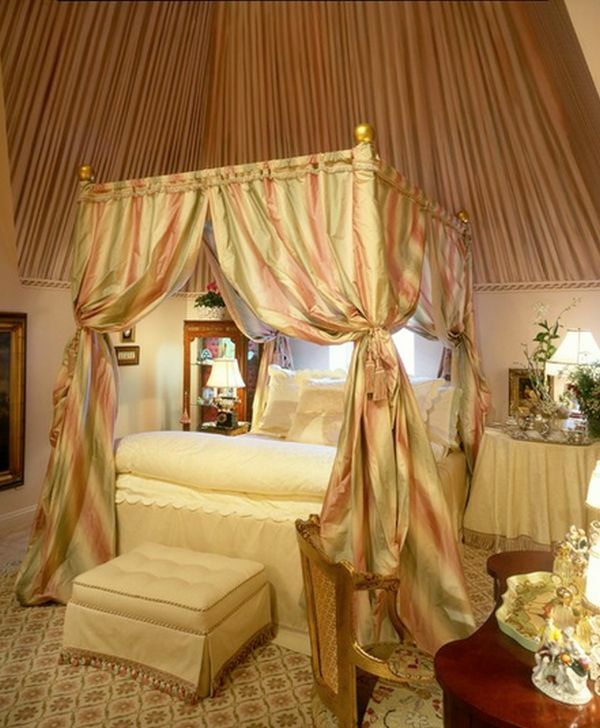 Perhaps one of the most famous instances of the canopy bed is from the Disney movie The Princess Diaries. The queen of France from the time of the French Revolution, Marie Antoinette was known for her large canopied bed – as well as her fashion. The four postered bed is a sign of royalty well known the world around. A modern princess often does not live in a palace. However, the idea of the canopy over any bed brings the simple queen or twin sized bed into automatic princess stature. Any color will do, and boy will it make any girl the envy of her friends. Should the room already have a palace in some form, every princess needs to have a carriage. This bed is more ornate than other carriage beds already shown, and it is fully circular, with extra room inside for stuffed animals to be stored without being in the way of the mattress. Not every princess knows she is a princess. For the one waiting to discover that she is indeed a princess, this home bed is the perfect place to rest her head at night. There’s even a bed in the “roof” for friends or a sister. This castle provides a shaded area to play during the day in a room that gets a lot of sunlight, and has a rooftop bed that can afford a view of her entire kingdom. No princess should be without that kind of view. This castle not only has a bed in the lower level, but has a couch, a tower for storage, and the roof tops can afford the princess much more storage than either tower combined. No princess can have too much storage, right? Not all medieval princesses lived in castles. Some lived in thatch roofed cottages, like their subjects. For the princess without the desire for flair, this cottage rocks. This bunk bed is a very simple design with tower spikes at the four posters. Any princesses who share a room will enjoy this bed. For the princess who wants an elegant carriage, this riff on Cinderella’s carriage will be all she has dreamed of. For the girl who cannot choose between a carriage bed and a canopy bed, give her both! An open top carriage with a canopy will make any princess feel regal. This bed features the Disney princesses, and will make any one feel like a princess. In their midst, after all, everyone is. This bed is for the adult princess who has yet to become queen. With a regal design, it makes everyone feel wonderful. When a headboard is the only option to make a bed regal, go with a crown shaped one. This will instantly remind anyone they are a princess. This final bed is for anyone who doesn’t want to go overboard, yet still feel regal. It simply needs a canopy.